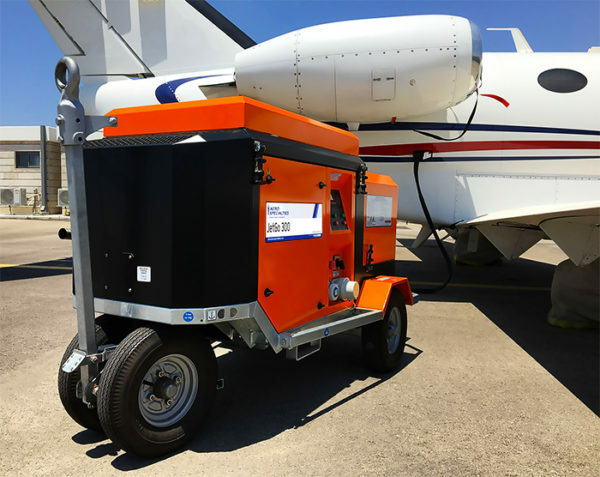 Powered by a 3-cylinder, water-cooled Kubota diesel engine (fully Tier IV compliant), the JetGo 300 is designed to provide continuous power for avionics and to start the engines on all DC turbine and turboprop aircraft. JetGo 300 users benefit from a compact unit, user friendly controls and very low operating costs, with the further advantage of low dBA signature and reduced CO2 emissions. 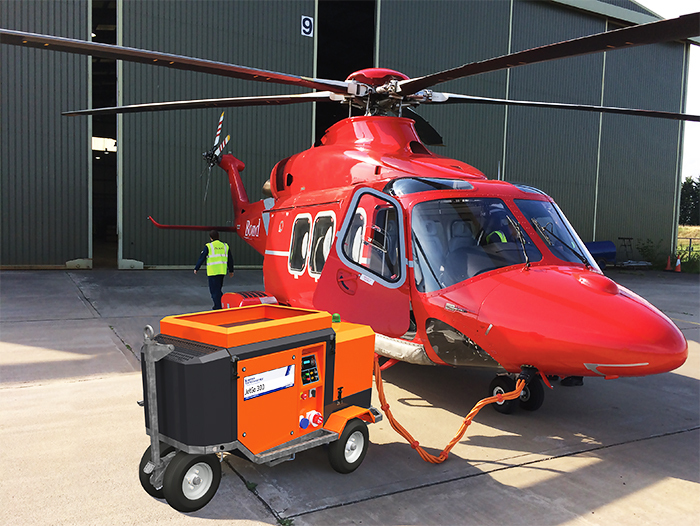 Normally, a diesel GPU four times the size of the JetGo 300 is necessary to deliver the peak amperage for starting large turbines. The JetGo 300 achieves the same starting performance using a 900cc (55 cu In) Kubota diesel engine coupled to a powerful generator powering 3 x 100amp 28V DC power supplies. These operate in parallel with a bank of high discharge batteries that provide instant ripple free power for turbine starting and aircraft loads exceeding 300 amps. 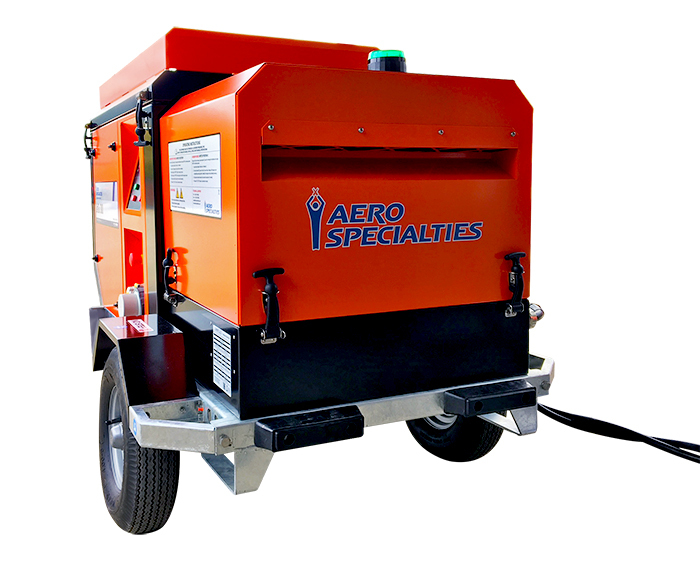 The JetGo 300 is suitable for all types of operation, including offshore helicopter operations, FBO and maintenance organisations and daily regional airline use. 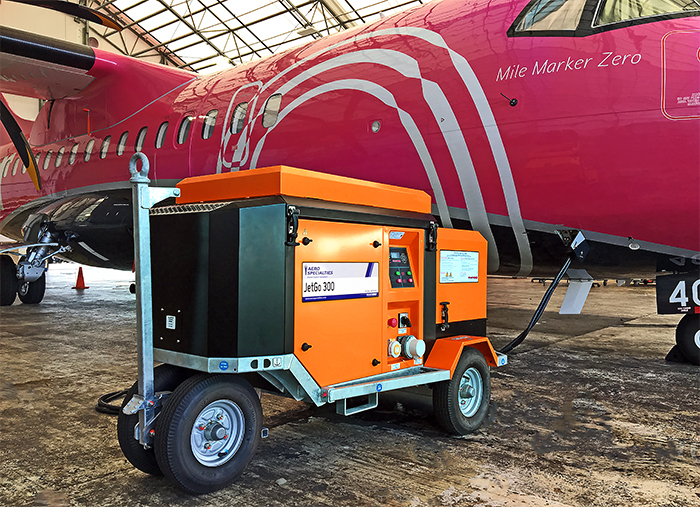 Where multiple departures of large regional aircraft – such as the Q400 or ATR – are scheduled, you can use the JetGo 300’s ‘PBS’ (Power Boost System). The PBS sustains voltage during the critical initial start sequence on large turboprop aircraft with shaft or free turbine engines, thereby ensuring a fast, cool start while maximising battery life. In a hangar or confined space, the JetGo 300 engine can be shut down. A selector switch isolates the generator and allows external 3-phase AC power to be connected from a suitable utility supply. 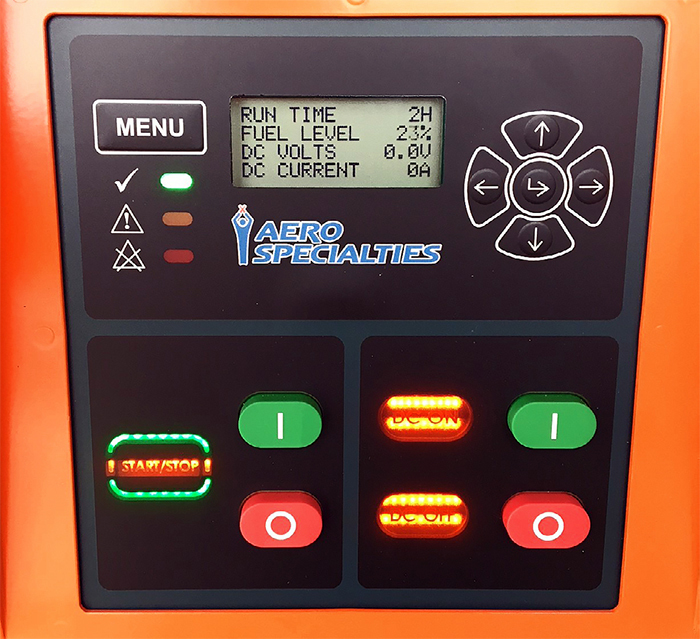 The full output from the JetGo 300 is then available with the external power source constantly maintaining the batteries in a full state of charge. 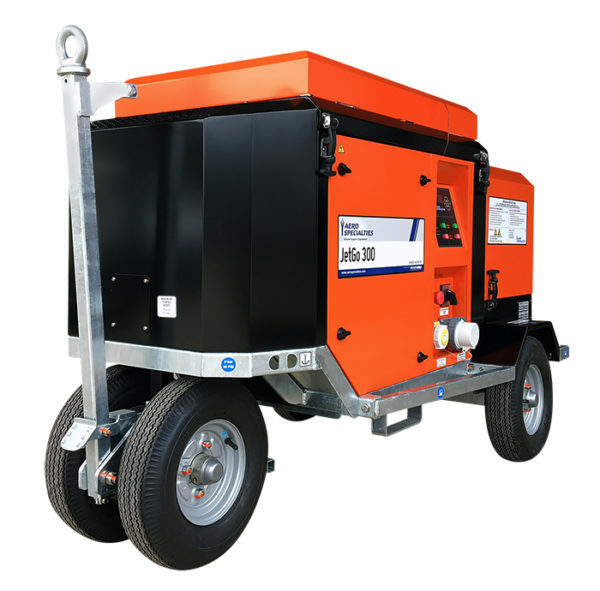 Available in various configurations, the JetGo 300 is designed for operators requiring versatile, standalone, high output DC power at a fraction of the cost of a conventional diesel GPU. ***The quoted figures are the theoretical instant short circuit current across the battery terminals. The maximum amperage that will be delivered by the GPU to the aircraft’s external power connection is significantly reduced due to cable length, cable size and duration of power. These figures are quoted for comparison purposes only. † If using Jet A1, JP8 or similar, some loss of power will occur compared to diesel due to jet fuel’s lower calorific value.